A guide on the method of applying evidence-based practice to combat information overload and help the practitioner locate, evaluate and integrate the best information to improve the quality of care for the patient. “Evidence-based medicine is the integration of best research evidence with clinical expertise and patient values.” (Sackett DL, Straus SE, Richardson WS, et al. 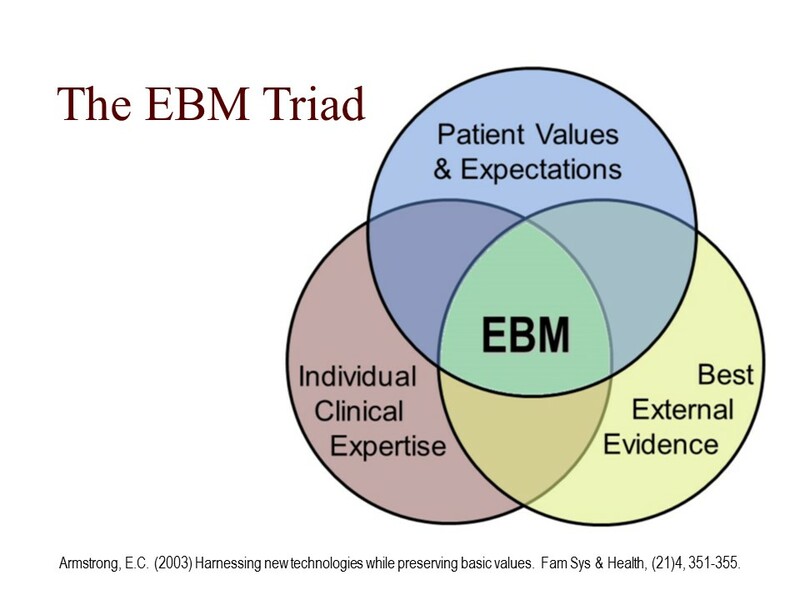 Evidence-based medicine: how to practice and teach EBM. 2nd ed. Edinburgh: Churchill Livingstone, 2000, p.1.) Evidence-based medicine in action is evidence-based practice. "Information Mastery is the application of the principles of evidence-based medicine concepts and techniques to the day-to-day practice of medical care. The concepts were developed in the early 1990s by Allen F. Shaughnessy, PharmD, MMedEd of Tufts University and David Slawson, MD of the University of Virginia." Source: Tufts University School of Medicine: Center for Information Mastery. http://medicine.tufts.edu/Education/Academic-Departments/Clinical-Departments/Family-Medicine/Center-for-Information-Mastery. Retrieved 9 March 2015. Two Tools Are Needed - a reliable source for Point-of-Care at the bedside, and another tool for "keeping up with the literature"